SKU: DSG-12 Express "Boss C". Category: Slug Guns. STABILIZE YOUR SHOT COLUMN WITH A STRAIGHT RIFLED BARREL, FOR LONGER SHOTS. 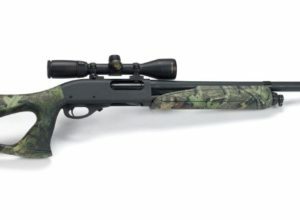 The “DTG-12” Express 3 inch “BOSS-S” designation refers to the fact that TarHunt fits a “non-removable” (except by a gunsmith); custom fit TarHunt straight rifled turkey barrel to a Remington 870 receiver. It has a solid threaded in one-to-one fit, for the best possible accuracy. The straight rifled 3″ chambered turkey gun comes standard with a matte metal finish. 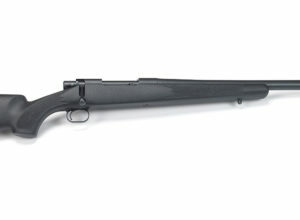 The barrel measures 23″ in length and includes threads for the standard REM-CHOKE system. It can be ordered with either Black or Camo stocks. 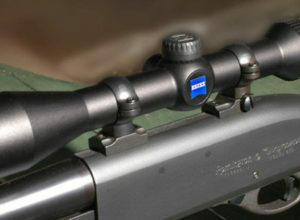 Scope Base are included, rings and scope are not. To convert the Remington 870 to a DTG 12, TarHunt will first measure the barrel hole in the front end of the receiver. Custom fit a block of steel into that receiver. We then thread and screw in a new TarHunt straight rifled turkey barrel into that steel block. Then we drill and tap the top of the receiver and install a custom made set of windage scope bases, using #8 screws, that are designed for the top of an 870 receiver. This places the scope, solidly mounted above the receiver, straight in line with the bore of the turkey barrel, assuring the best possible accuracy for head shots on turkeys. DTG 12 Wingmaster “BOSS-S” will have a 2-3/4″ chamber. The DTG 12 Express Mag “BOSS-S” and the DTG 12 Wingmaster Mag “BOSS-S” will have 3″ chambers and straight rifled turkey barrel. Any privately owner firearm send to TarHunt for a conversion or repairs must be shipped with a copy of the OWNERS DRIVER LICENSE of your state OR firearm ownership card if one is required by the state you live in. When completed, the firearms must be returned directly to the address on the original accompany ID. Any change of ownership of this weapon must be transferred thru a current FFL holder. Specifications can change without prior notice. NOTICE: Prices are subject to change without notice. As much as a $60.00 (NON-REFUNDABLE) charge will be assessed against your original deposit for any cancellations on the owners behalf; to offset return shipping costs..
SPECIAL ATTENTION: Residents of NJ and IL are required to provide a Firearm ID Card prior to shipment of any firearms. Ownership of this weapon must be transferred thru a current FFL holder. For more information, please visit our Purchasing, Cancellations, and Returns policy page. 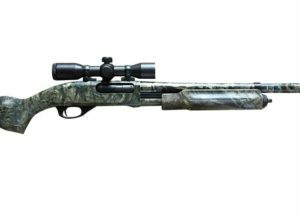 From 1993 to the present, TarHunt has sold bolt-action slug guns domestically, to Europe, African and Japanese markets.TarHunt has built guns for Remington, Winchester, Federal, Marlin and some foreign manufactures of slug gun ammo.